"Nobody understood why I wanted this unusual-looking dog ... but I couldn't get past his sweet little bald head." Julius was found wandering the streets of Texas three years ago and taken in by the local animal shelter. He was very nervous and confused when he was first picked up, and it seemed as though he had likely been abused before his life on the streets. He wasn’t in the shelter long before he was pulled by Tender Loving Crested Rescue, which quickly set about trying to find him the best home. 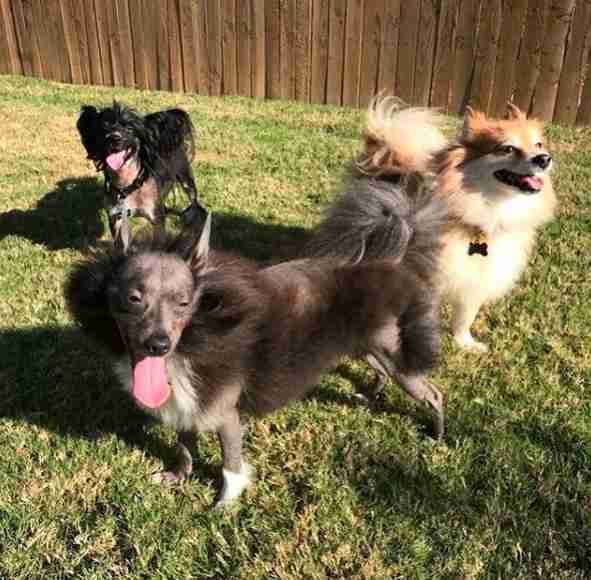 Julius is half Chinese crested and half Pomeranian, and as a result, he’s a very unusual-looking dog. 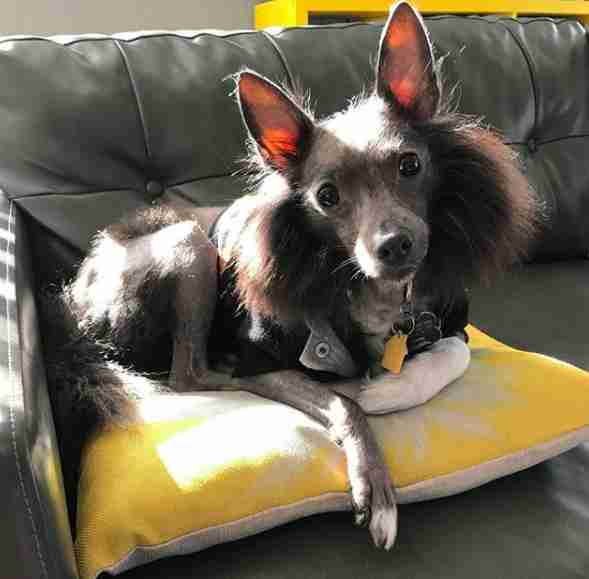 While parts of Julius are very fluffy, like a Pomeranian, parts of him are very, very bald, like a Chinese crested, and he kind of looks like a fluffy little bat. 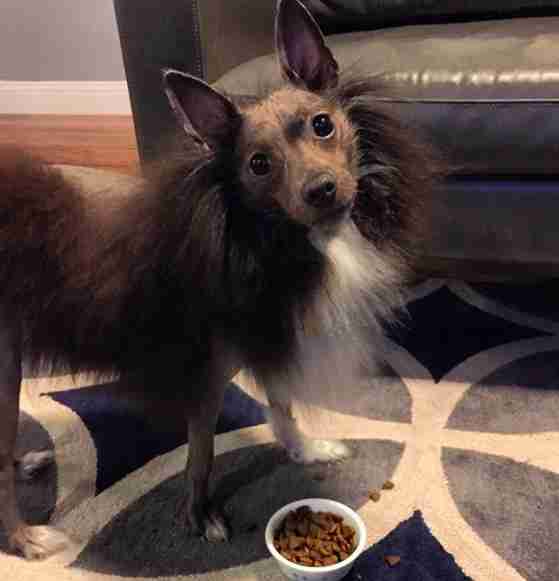 The rescue wasn’t sure if Julius would have to wait a while for a home because of his unique look, but before long, the perfect family found out about him and knew they had to have him. 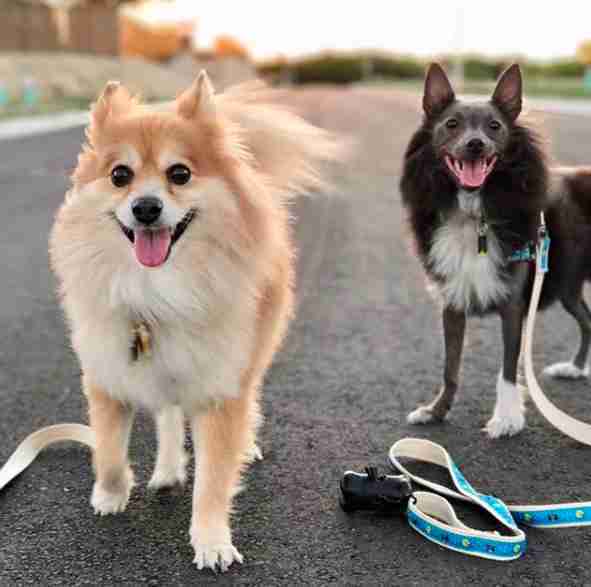 When Sarah Freed started looking for a second dog, she decided she wanted to adopt a Pomeranian just like her first dog, Radio, a puppy mill rescue. She began searching on PetFinder and stumbled upon Julius, and while he wasn’t exactly what she had been looking for, she immediately fell in love. 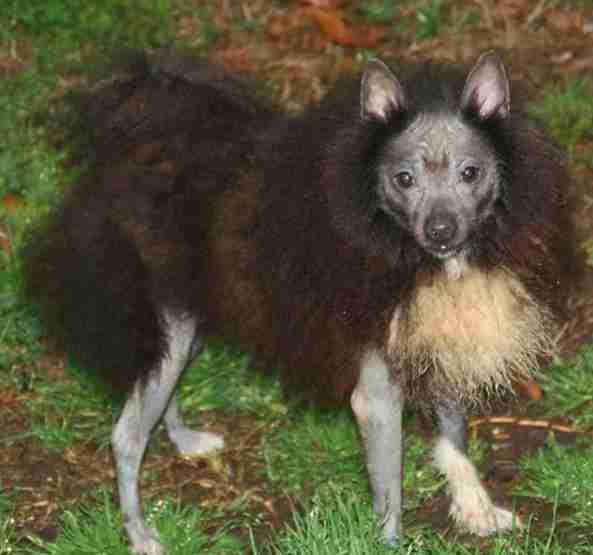 “Nobody understood why I wanted this unusual-looking dog, as they were expecting a fabulously fluffy Pomeranian (and he's proudly quite the opposite of fabulous! ), but I couldn't get past his sweet little bald head,” Freed told The Dodo. When Julius first arrived at his new home, his brother Radio wasn’t really sure what to make of him. Radio had a lot of issues from his years spent at a puppy mill, so he kept his distance from Julius at first — but he always watched him from afar, and slowly began to learn how to be a dog by watching his new brother Julius. 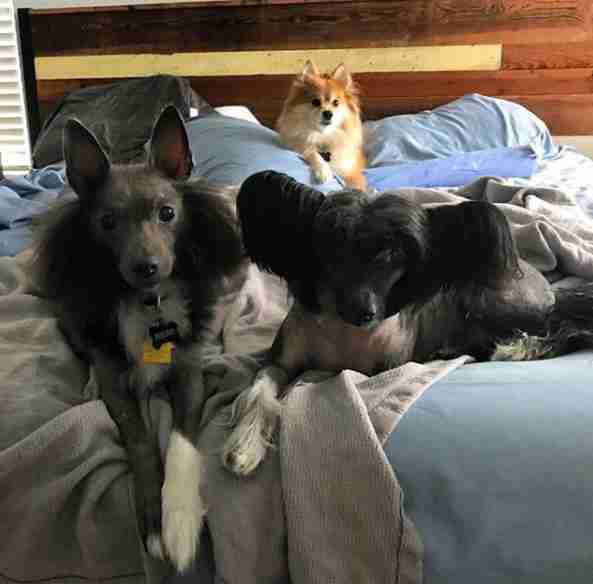 A few years later, Freed decided to add another dog to their crew, and adopted Electra, a Chinese crested, from Tender Loving Crested Rescue. Just like Radio, Electra was also pretty terrified of everything when she was first adopted — but Julius was able to help her come out of her shell, too. Now the pair are the best of friends and are constantly playing together, and getting into trouble together, too. 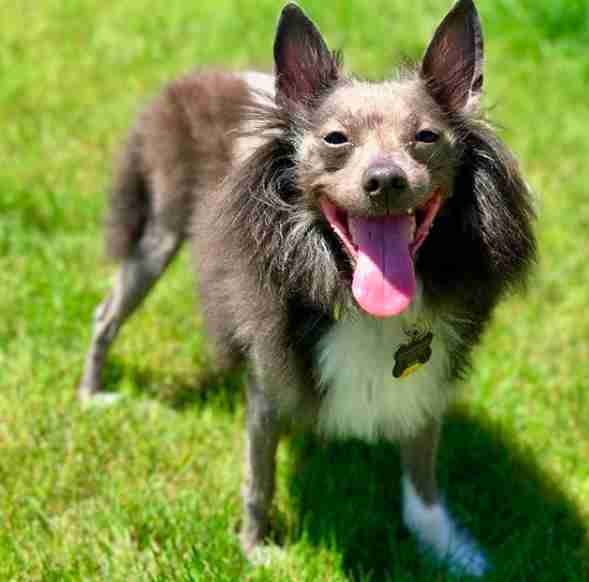 Julius is an extremely playful, confident little dog, and he made sure his confidence rubbed off on his siblings. Julius is also fiercely protective and loves his family so much, and so helping his siblings come out of their shells and enjoy life more was just second nature for him. Julius has always had a very outgoing personality, and loves playing with and loving on each and every person he meets. Due to his unusual appearance, people are often very shocked to meet Julius, but he never seems to notice. 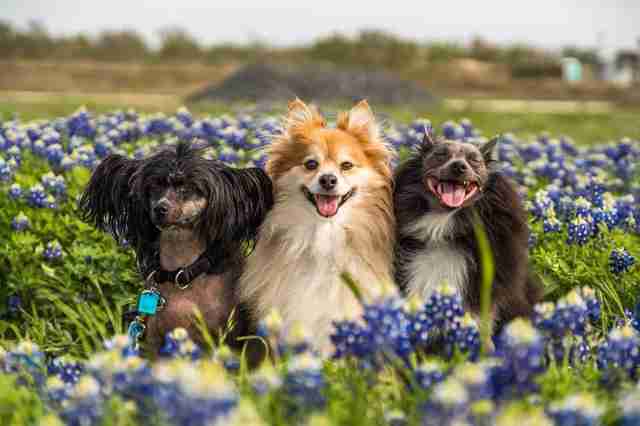 He has no idea he’s any different, and greets each new friend as if he looks just like any other dog. While some people are completely taken aback and even a little afraid of Julius because they think there’s something wrong with him, his family loves him exactly the way he is and wouldn’t change his unique appearance for the world. Julius seems pretty pleased with the way he is, too — and is even determined to befriend his haters. “I'm pretty sure he's actually more drawn to people who want nothing to do with him,” Freed said. You can follow Julius and his siblings on his Instagram account.